There are talks about a sequel to "La Doña" and Danna Paola is spilling the tea about the process. The Telemundo star reveals a dark moment she lived when she first started her career that will leave you shocked. The Oscar-winning actress is defending herself from the "Charmed" star after being accused of knowing Harvey Weinstein's sexual misconduct. The television star abruptly left the NBC show unexpectedly leaving fans out in the dark as to why. The "Hoy" co-host is tired of reading fake news stories about her online and hopes the lies will stop. Pablo Alborán sings "Saturno," theme song for the Univision primetime telenovela. Watch opening credits here! 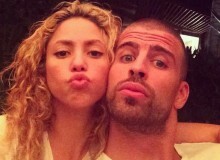 The couple has been facing rumors of breakup, but a recent family outing confirms they are still together. The drama between the couple has played out publicly for the better part of 2017, but will it continue in 2018? Read the predictions here! 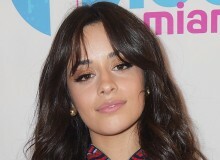 The "Havana" hitmaker knows that the future is about the kids now and this is what she says will make a better place. The "Molly's Game" star is applauding Hayek for speaking out against the former Hollywood producer accused of sexual assault. The Spanish star showed her support for her friend after she exposed the hell she live through working with Harvey Weinstein. Jenni Rivera's sister got flack on social media after admitting to getting surgery to enhance her body attributes. The actress reacted to the grandson saying she wouldn't be a good fit to play the legendary Mexican actress in a bio-series. 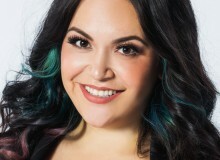 "The Riveras" star made the announcement in a post on social media shocking all of her fans. The couple announced their split and now the actress is opening up about the hardest part about having a broken family. What Is 'El Rico y Lázaro' Telenovela About? Find out more about Univision's new primetime telenovela premiering in January here! Who Stars In 'El Rico y Lázaro' Telenovela? 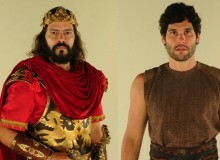 The Brazilian series is from the creators of "Rey David" and "José de Egipto". Find out more about the cast here! When Does 'El Rico y Lázaro' Start On Univision? A new biblical telenovela is set to premiere on Univision in 2018. Watch a preview here! The Latin star scored big with "Mayores" and was now hit a new milestone. Please don't ruin your Christmas party playing these awful holiday songs that will make all your guests throw up their tamales! Or play them and laugh about how terrible they are.